Puppy farms are large-scale breeding premises whose sole purpose is to make money. The breeding dogs are kept in cruel, cramped conditions where they are locked inside for 24 hours a day, often in complete darkness. 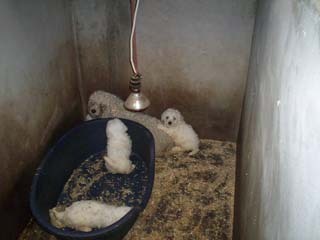 Puppy farms are usually located on farms, barns, garages, or disused out buildings. Alongside this there are also many unethical breeders, who breed for the same purpose, and give no thought to the welfare of the dogs. When you buy a puppy you should be able to see the mother with the litter. If you cant then stay away! 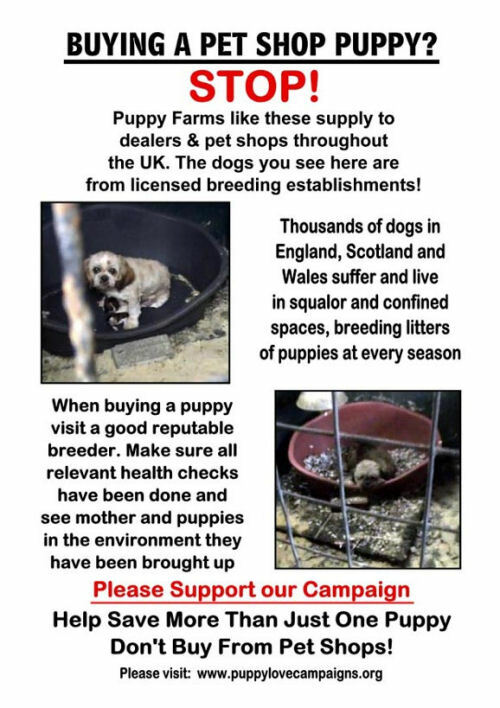 If you buy your puppy this way then there is a strong possibility that it has come from a puppy farm. Help end the cycle of abuse. Stand up against puppy farming. You can make a difference!